RUDU members at the Harvard Tournament, where Temkin ’18 and Albert ’19 won finals. In October, RUDU took part in three major debates. The Center for European Studies and German Embassy’s German Information Center hosted a debate between RUDU and Rutgers Model Union Nations on the topic of “Resolved: Germany’s high levels of representation of women in politics makes its political system more democratic than America’s.” Max Albert ’19 and Pasha Temkin ’18 represented RUDU and won the debate according to the judge panel. 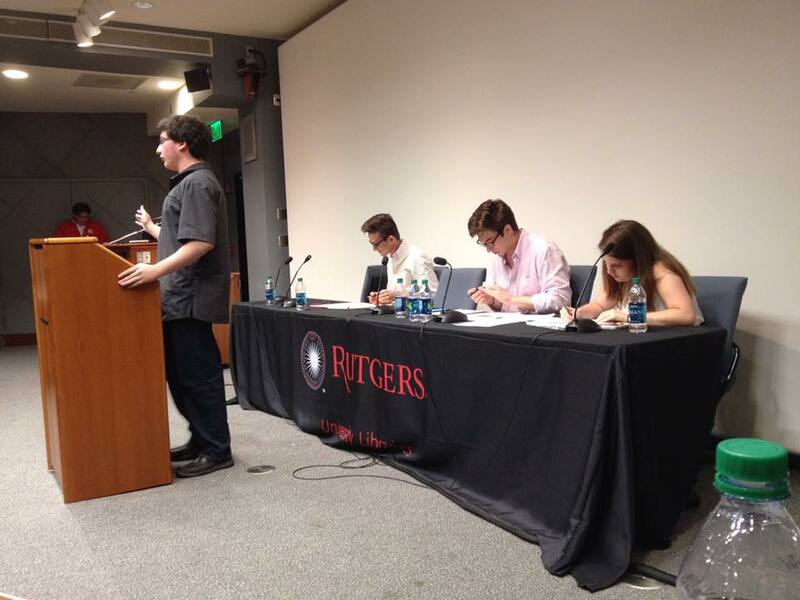 The second debate was hosted by the Rutgers University Student Association (RUSA) and was a mock Presidential debate between the four major Presidential candidates: Donald Trump was portrayed by Larry Feltz ’16, Hillary Clinton was portrayed by Jeremy Kritz ’19, Gary Johnson was portrayed by Andrea Vacchiano ’19, and Jill Stein was portrayed by Adarsh Rangan ’19. 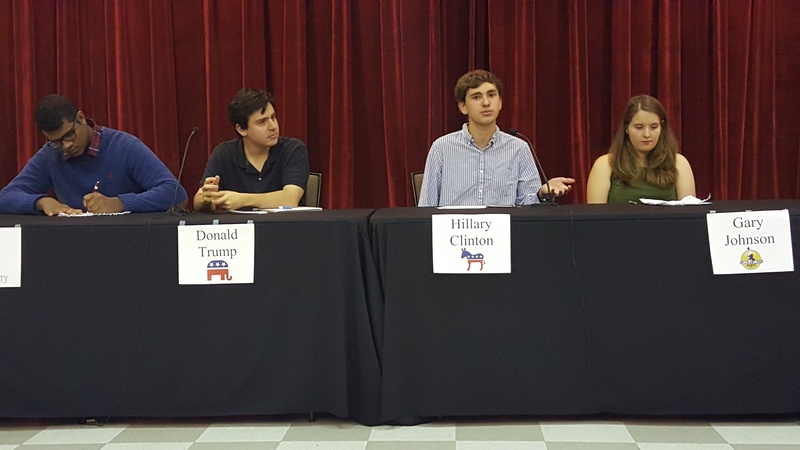 The debate was moderated by Max Albert ’19. All four debaters would respond to questions laid by the moderator and then the audience. At the end of the night, according to a straw-poll, Hillary Clinton won with Gary Johnson in second place and Donald Trump and Jill Stein tied for third. 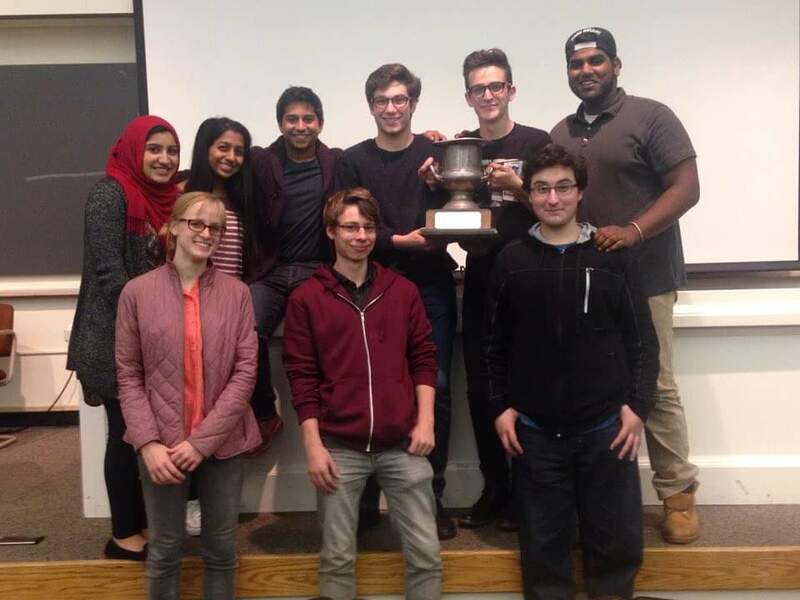 On October 17, the School of Communication and Information hosted a debate with the topic: “This House would kneel during the National Anthem.” Government was represented by David Vinarov ’19 and Adarsh Rangan ’19, while Opposition was represented by Naeem Hossain ’18 and Jeremy Kritz ’19. The debate was hosted in a packed room and the straw poll was remarkably close, with 31 voting for Opposition and 34 voting for Government. The fall semester was great for RUDU, stay tuned to our website for monthly blog posts and our Facebook page for weekly updates throughout the spring! 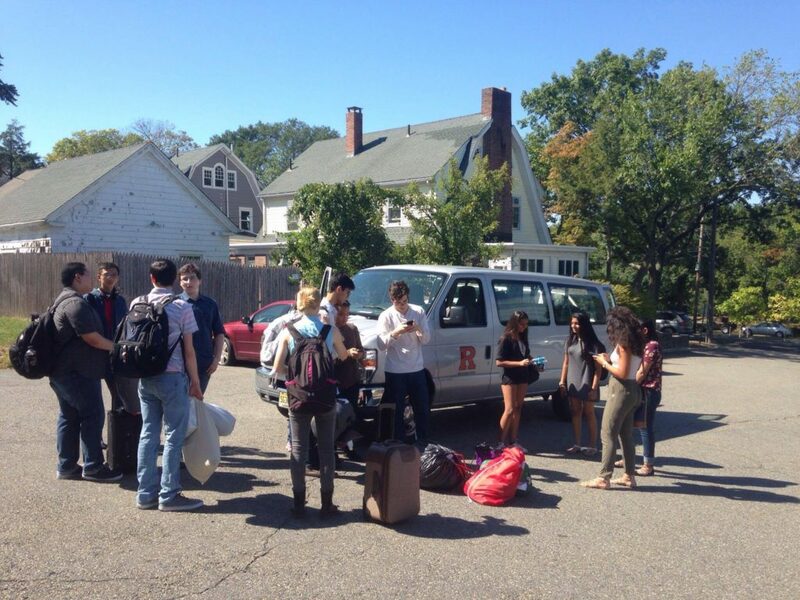 The weekend of October 7-8, the Rutgers University Debate Union traveled all the way to Boston, MA to compete at the largest APDA tournament of the year: the annual Harvard University tournament. 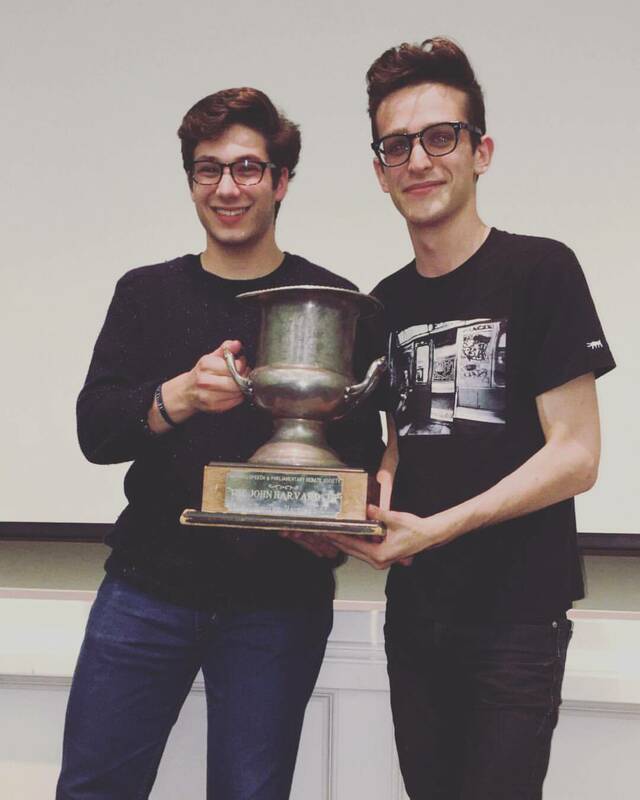 Although success was by no means unfamiliar to Pasha Temkin ’18 and Max Albert ’19, who had won Top Novice Team at Harvard last year, it was certainly a happy surprise when the two rose up to win Top Varsity Team at the largest tournament of the year! 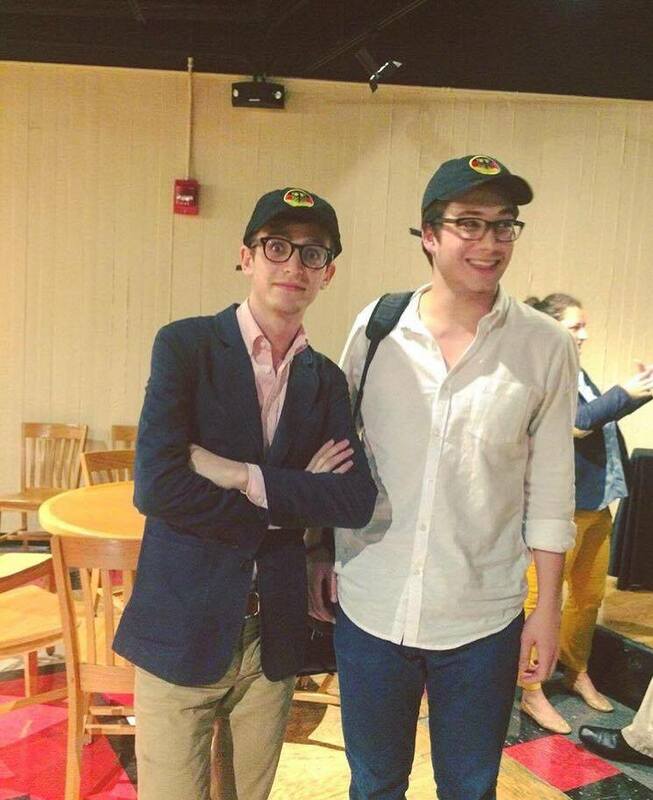 Temkin ’18 and Albert ’19 had defeated a number of skilled debaters before winning finals: they faced a Brown/Boston University hybrid on the topic of African economics, a Princeton team on personal loan finance, Stanford on religion, and Brown on the merits of free trade. Our novice, Patricia Jastrzebska-Perfect ’20, hybrided with a Swarthmore debater and won Eighth Novice Speaker! Jastrzebska-Perfect ’20 was one of the few non-breaking 4-1’s, an extremely impressive feat for a novice debater. Next week, RUDU will be visiting the nation’s capitol once again to compete at The George Washington University. Stay tuned for updates! 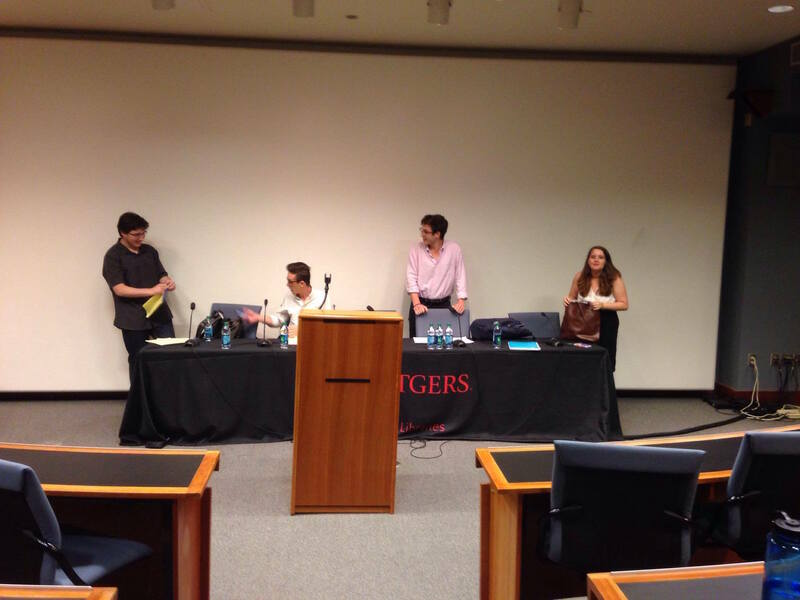 September has been quite an exciting month for the Rutgers University Debate Union! We’ve welcomed many new members and been more involved with the Rutgers community than ever before. 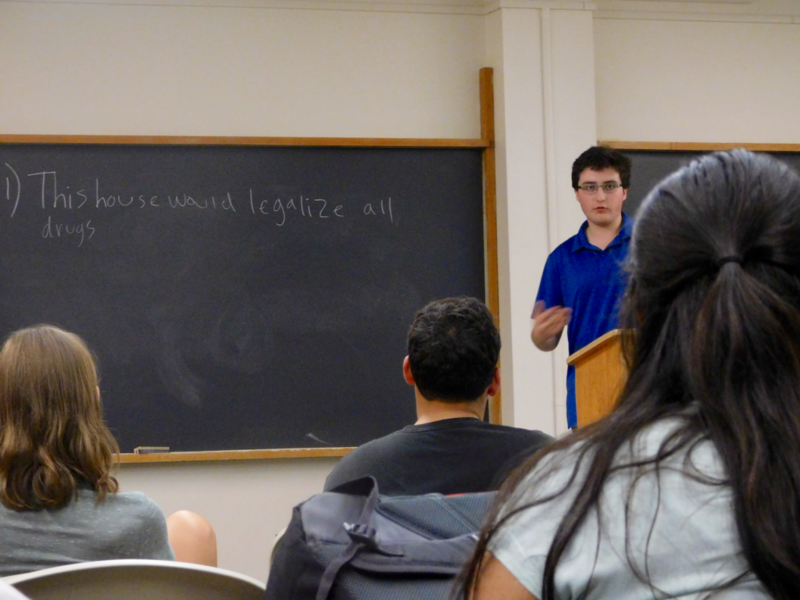 RUDU began the month by holding a series of demonstration debates for the Rutgers public. 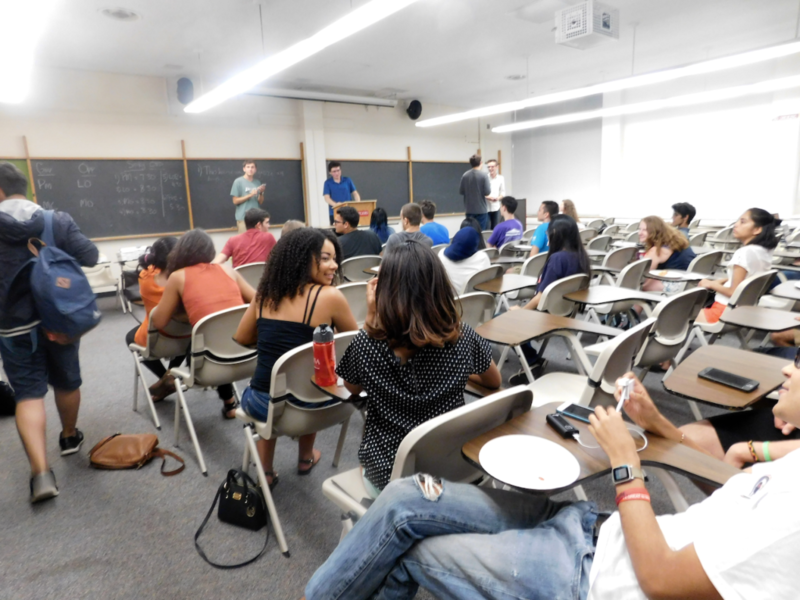 These two debates attracted dozens of students. Debating were Max Albert ’19, Pasha Temkin ’18, Naeem Hossain ’18, and Jeremy Kritz ’19. On September 21, RUDU participated in a full-house debate sponsored by the Eagleton Institute of Politics. The topic was whether or not the electoral college should be abolished. On Government were Pasha Temkin ’18 and David Vinarov ’19, while Opposition was represented by Max Albert ’19 and Andrea Vacchiano ’19. When the crowd took to a vote, students decided that Government had won the debate. 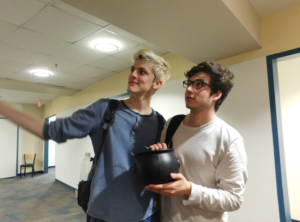 RUDU was published in The Daily Targum the next day! 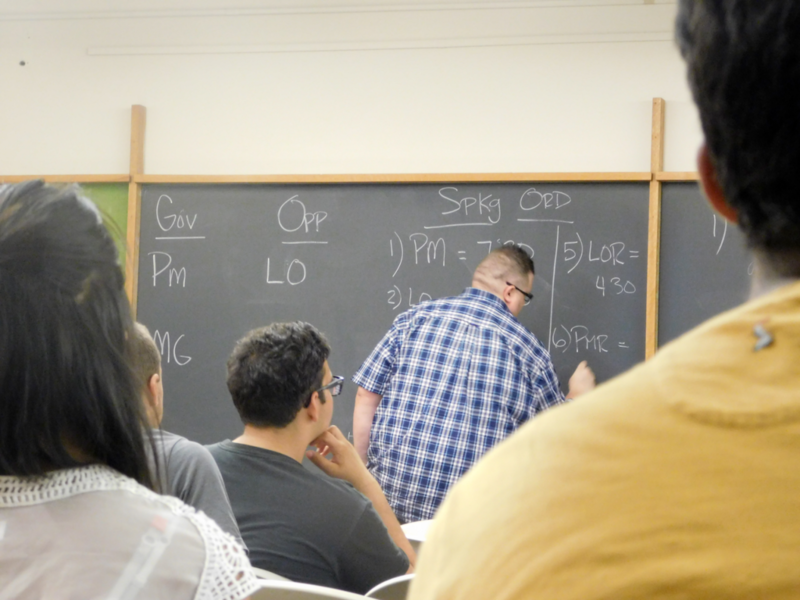 Overall, RUDU kicked off the fall semester to a great start! We were also joined by RUDU dinos Quinn Maingi ’15 and Russell Potter ’15! Temkin ’18 and Albert ’19, at their first tournament as varsity debaters, made it to semi-finals and finished out as the Third Top Varsity Team of the whole tournament! 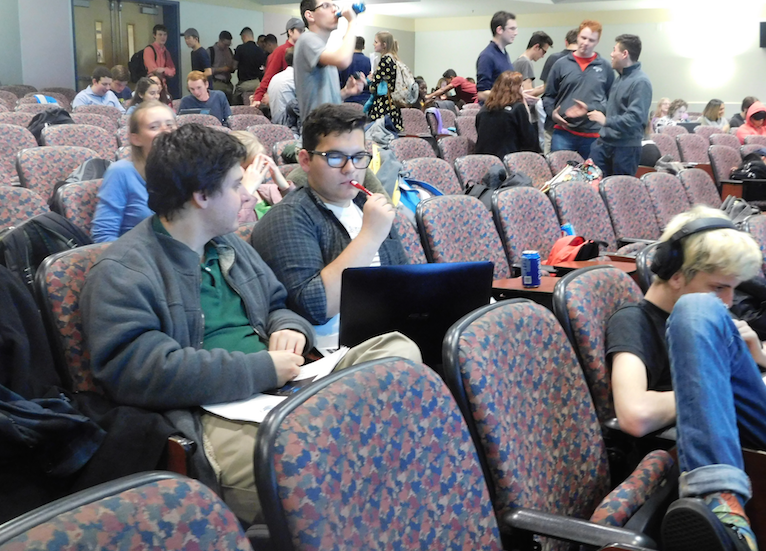 They beat out the ultimate Brandeis/Tufts champions in the tournament’s preliminary rounds. Temkin ’18 and Albert ’19 are also now tied for the Second Team of the Year award on APDA. Temkin ’18 was also awarded the Eighth Varsity Speaker award at the Hopkins tournament. Next week, RUDU will be competing at the College of William and Mary in Williamsburg, VA. Until then, RUDU will be doing demonstration rounds this Tuesday and Thursday and encourage all interested students to join us at 9pm in the SC&I building! Welcome back, Scarlet Knights! 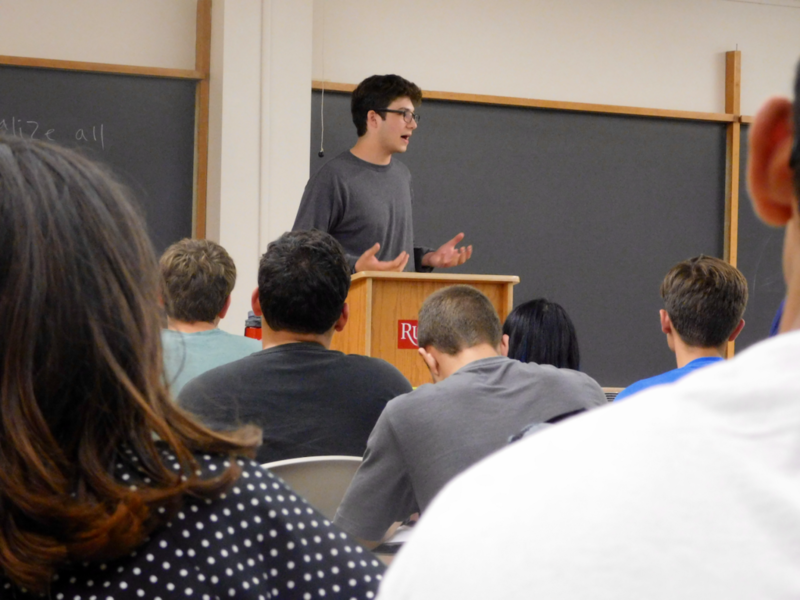 The Rutgers University Debate Union is very pleased to be hosting two demonstration rounds for the first week of classes of the Fall 2016 semester – on Tuesday, September 6 and Thursday, September 8, our varsity members will be doing demonstration rounds to give a brief overview of what parliamentary debate is like. They will be in room 212 of the School of Communication and Information building on College Avenue, whose entrance is tangential to Alexander Library. The meeting will begin at 9PM with snacks and a brief overview of what parliamentary debate is, and will culminate in an exciting round between our varsity debaters. 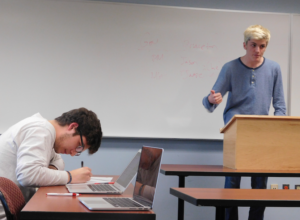 Our two former novices, Max Albert ’19 and Pasha Temkin ’18 were respectively ranked Second- and Third Novice Speakers on one of the most prestigious debating circuits in the world, the American Parliamentary Debate Association. They also broke an APDA record by being ranked Seventh Team of the Year and being the first novice-novice team to break into the top ten Teams of the Year. The circuit contains every Ivy League university, Stanford, MIT, UChicago, Johns Hopkins, Swarthmore, Williams, and other top schools. Rutgers was also ranked Seventh Club of the Year. If you’re interested in reading more about the 2015-16 season, click here. Despite the competitive success of the Rutgers team, we welcome absolutely all Rutgers students to join! Our members have what ranges from four years of high school experience to absolutely none. No high school experience is required for competing on APDA or being apart of RUDU. We also welcome students who have experience in policy debate, public forum, Lincoln-Douglas, speech, Model UN, Model Congress, and mock trial to come give parliamentary a try! You can RSVP through the Facebook event page or by emailing rutgersdebate@gmail.com, for those without Facebook. The week after the demonstration rounds, RUDU will host break-out sessions and workshops for students interested in continuing debate. It is heavily recommended that any students interested in RUDU participate in these workshops, as they will prove to be invaluable as the year goes on. Any students still interested in debate can come to our regular Tuesday and Thursday meetings to practice and learn more about debate! Sean Leonard was named 19th Varsity Speaker and received the Jeff Williams award (graduating senior with the most top 10 -OTY finishes) and the Chris Porcaro award (graduating senior with the most top speaker finishes), the first time any Rutgers debater has been so distinguished. Max Albert was named Top Novice and Tenth Varsity Speaker. 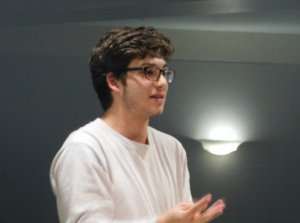 Pasha Temkin was named Second Novice and Seventeenth Varsity Speaker. Together, they broke (being the first novice/novice team in APDA history to break at Nationals!) into octofinals, placing 11th overall. For the 6th year in a row, Rutgers remains in top 10 COTY (Club of the Year)–this year, we were named Seventh Club of the Year, above teams like Princeton and the University of Pennsylvania. Nick Hansen ‘16 finished the year tied for Twentieth Team of the Year (with Sean Leonard) – and was named 13th Novice of the Year when he began. Hansen ‘16 graduated with a degree in Political Science and a minor in History and will work in transportation. Geneva Kropper ‘16 was ranked Sixth Team of the Year this year (with Sean Leonard) – a remarkable feat considering that the team began after the Rutgers Invitational at only the beginning of February. Kropper ‘16 graduated with a degree in Government and a minor in History and will be working in D.C.
Good luck to Sean, Nick, and Geneva! We are also excited to announce that Rutgers will be hosting and competing in Nationals next year – this is a huge honor on the APDA Circuit! We were also joined by dinos Deepta Janardhan ’14, Quinn Maingi ’15, and graduating senior Nick Hansen ’16 who all judged! 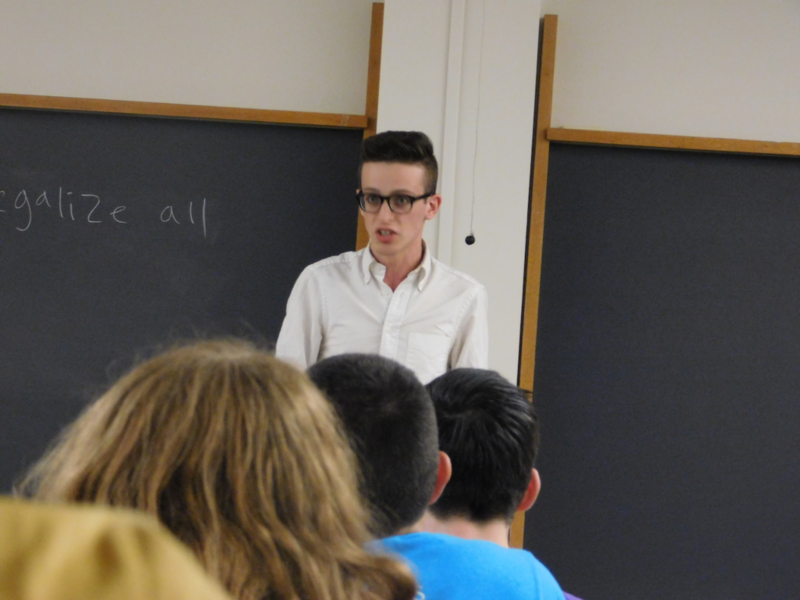 Leonard ’16 debated extremely well with Matt Donaghy from Swarthmore, going a steady 4-1 in preliminary rounds. In outrounds, they shot through their competition and made it to finals, finishing as the Second Varsity Team, dropping only to Nathan and Ani from Princeton, who are APDA’s Team of the Year. Leonard was also named Second Varsity Speaker. Temkin ’18 and Albert ’19 dominated the novice competition as always, winning Top Novice Team and snagging Top Novice Speaker (Temkin) and Second Novice Speaker (Albert) against many talented novices on the circuit. Next weekend, the team will be competing at Nationals, hosted by New York University. Best of luck to those who are going! This past weekend, the Rutgers Debate Team took a long journey to Williamsburg, Virginia to compete at the College of William and Mary. April 8 and 9 proved to be very eventful days for our debaters, and successful nonetheless! Our varsity members, Sean Leonard ’16 and Geneva Kropper ’16, performed exceptionally well as always. The duo had a perfect 5-0 record in their preliminary rounds and debated their way victoriously up to quarter-finals! They were crowned Fifth Varsity Team, with Leonard’16 as Second Varsity Speaker. 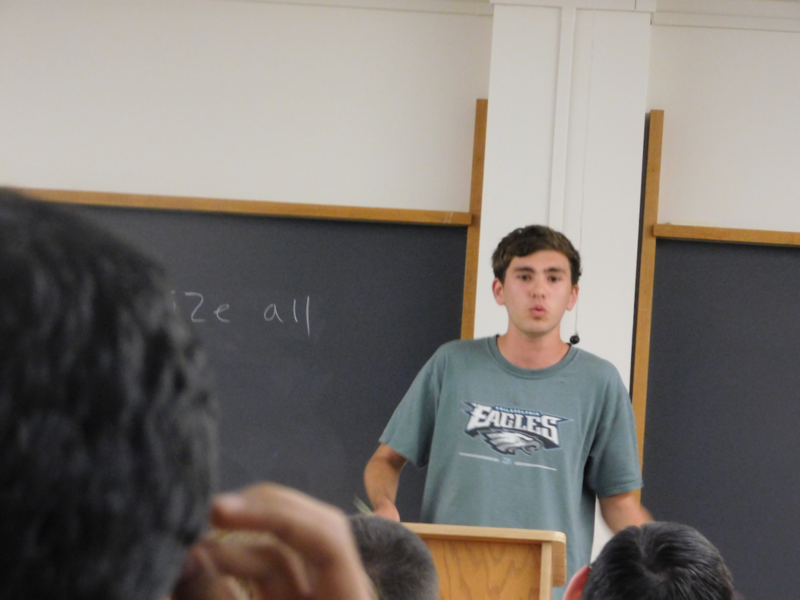 Our novice President Temkin’18 was also named Seventh Varsity Speaker, quite an accomplishment! Temkin ’18, along with Vice-President Max Albert ’19, made Rutgers proud by dominating the novice competition, performing well enough to be crowned Top Novice Team! Temkin ’18 was also named Top Novice Speaker, with Albert ’19 making Third Novice Speaker! The two also made it to varsity quarter-finals. Our next tournament will be at The College of New Jersey in Ewing, NJ, and will mark our last regular tournament of the academic year. Judging with us were RUDU dinos Russell Potter ‘15 and Chris Bergman ‘13. Two of our four teams broke into outrounds. Novices Temkin ‘18/Albert ‘19 picked up octofinals against Megan Wilson and Evan Lynyak from Yale, who are currently tied for Team of the Year! It was a great round, and very impressive for our novices to win against such a well-regarded team. The two then made it to quarterfinals, placing them as 7th Team of the Year, right behind Leonard/Kropper who are 6th. Leonard ‘16/Kropper ‘16 also shot through their rounds, performing beautifully and making it to octofinals before dropping to another Yale team. The greatest accomplishment of the weekend was when Vice-President Max Albert ‘19, triumphing over the many other promising young novices on the APDA circuit, was named Top Novice Speaker! Next weekend, RUDU will be driving all the way down to Williamsburg, Virginia to debate at The College of William and Mary. This will be our third-to-last tournament for the year, as nationals are approaching very quickly. Good luck to the debaters! We will also be having RUDU elections this week. We were also joined by RUDU dinos, Quinn Maingi ’15 and George Alukal ’15, who judged! 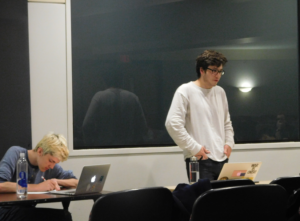 Leonard’16/Kropper’16 continued to perform phenomenally by going 5-0 in their in-round debates! They made it to quarter finals and finished as the Fifth Varsity Team, while Leonard’16 garnered Top Varsity Speaker, a huge achievement. Our novice debater Albert’19 broke into varsity rounds with his partner and finished as the 11th Varsity Team! President Temkin’18 shot through his rounds with his partner from Bryn Mawr: they went 3-2 and then made it to novice finals (finishing as Third Novice Team)! One of the three in-rounds debates they won was against Nathan and Anirudh from Princeton, who are Third Team of the Year AND the Top Varsity Team at the Penn tournament! Quite an accomplishment from novice debaters! Temkin’18 was also impressively crowned Top Novice Speaker. Albert’19 got Tenth Novice Speaker and, because his novice team broke into varsity, was apart of the Top Novice Team! Next week, Rutgers will be competing at Princeton University on March 31-April 1. This will also be the night of APDA elections, so good luck to Pasha Temkin in his bid for Member-at-Large, and good luck to RUDU!